Turn your data into decisions. And grow your best crops ever. 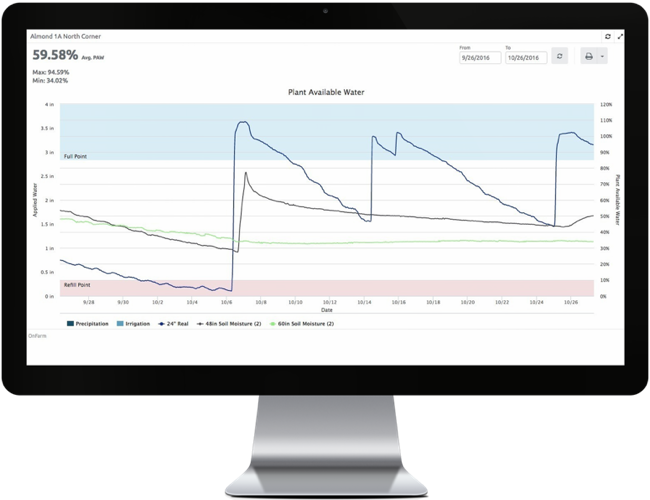 Data directly from the technology on your farm powers analytics, management information, alerts, and forecasts that enable your entire team to significantly increase your productivity and profitability. OnFarm delivers university developed and grower trusted crop and diseases models driven by data directly from your farm. Don’t rely on generic models, OnFarm delivers real information for your farm operation.